Prezzee is perfect for any special occasion! No matter what special occasion you have coming up, you can send the perfect gift voucher in minutes. Prezzee is perfect for weddings, engagements, anniversaries, birthdays and a great way to just say congratulations. So you’ve decided on a gift voucher for your next present but you’re stuck on which store to choose from? Prezzee Gift Vouchers are the ideal solution. We give you a selection of Australia’s favourite stores and the flexibility of fast online purchasing and instant delivery. Prezzee has all of your gift shopping sorted, no matter who the couple is that you’re buying for. Would the couple love a coffee table book? Perhaps travel gift cards to use on their honeymoon? Homewares to set up home? Or a big appliance? Can’t decide which retailer Gift Card to buy- then pick the Prezzee Swap Card, which gives the recipient the choice and flexibility of which retailer to spend the gift card at. Fast and easy – Prezzee makes gift giving eezzee! 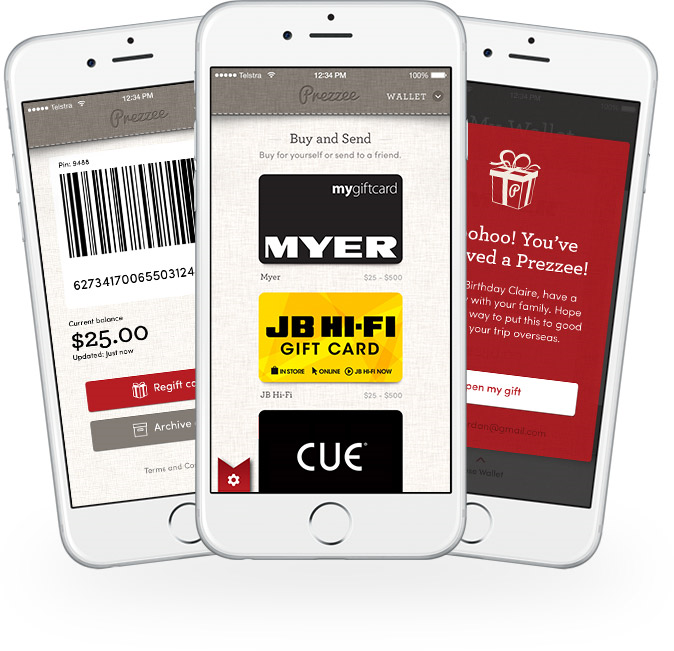 The Prezzee online Gift Card is quick and easy to buy and send. You can even select from a range of great designs from our e-greeting cards and send along a personalised message. Their Prezzee is received instantly and stored on their mobile device easily accessible next time they go to use it. It’ll never get forgotten or lost and you’ll know that you gave someone the greatest gift of all – the gift of choice!